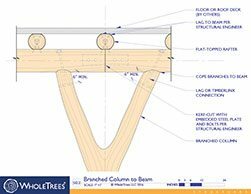 WholeTrees is the national leader and unrivaled expert in engineering natural unmilled timber for commercial construction. WholesTrees partners with the USDA Small Business Innovation Research program, the US Forest Service Wood Innovation Research program, the USDA Forest Products Laboratory, Earthling Interactive, and engineering experts nationally to develop the technologies and products required to scale low-value cull trees into high-value construction markets. 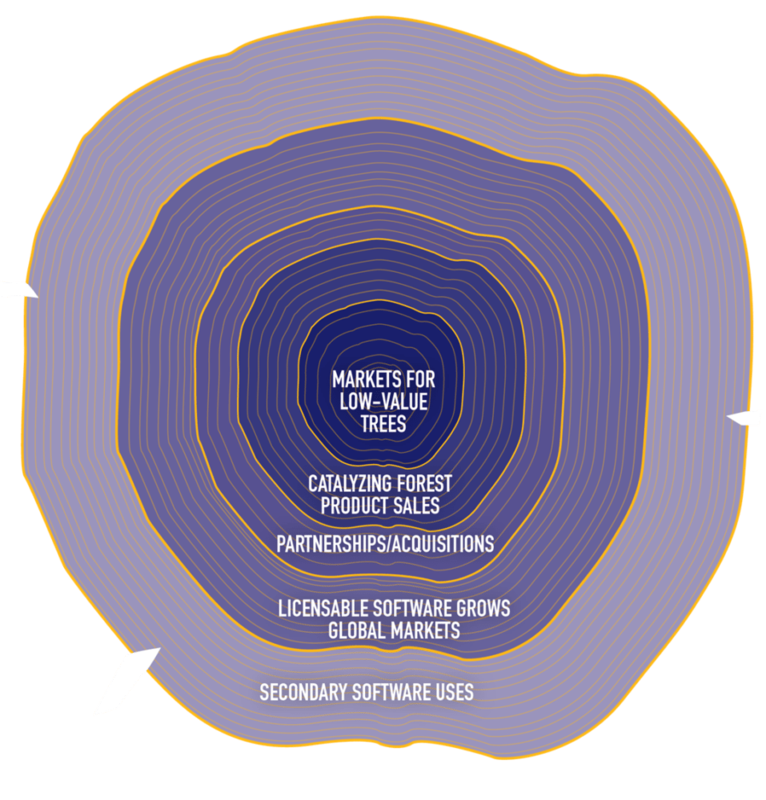 Software - the WholeTrees Inventory Platform links forest culling supply chains to markets by providing the 3D models, material data, and inventory tracking that forest products companies and building professionals require to confidently fabricate and specify WholeTrees products. Grading - our proprietary grading procedures allow us to use smaller, skinnier trees to hold up heavier loads and span wider spaces. We use Non-destructive Evaluation (NDE) techniques to assess material quality and assign optimized design values. 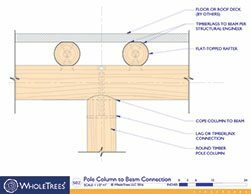 Products - patented steel connections and truss designs that facilitate up to 60' spans allow WholeTrees to compete in commercial construction markets. 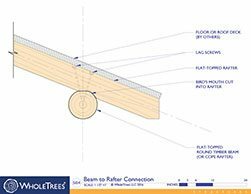 Our solar carport product allows parking lots to be forested in tree-columns while generating solar energy, and a connection catalog of over 30 engineered round timber connections. WholeTrees uses standard connections that interface easily with a variety of structural systems. A selection of our standard details is provided here along with the CAD files for project integration. Revit families and our extended detail catalogue are available upon request. The WholeTrees design staff are exceptionally skilled at modeling with the organic shapes of trees. We utilize innovative design tools to help you and your team incorporate our materials into your existing computer aided design drawings. 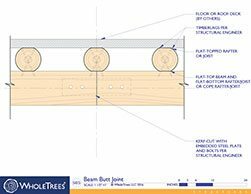 We will aid you through your design iterations and help your team envision the beauty of your WholeTrees components before construction. 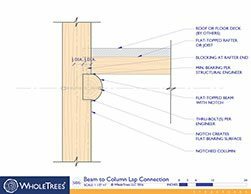 It isn’t easy to visualize the majesty of a tree, but our expert design team is here to ensure your design intent is fulfilled. Contact our team for product models in your preferred file formats. Our vision is to provide beautiful, affordable, and durable biophilic structural systems which also restore forests. Our timbers are a byproduct of sustainable forest management, which is a main pillar of the WholeTrees philosophy. Forest thinning allows the woodland as a whole to thrive, catalyzing growth and biodiversity. By pioneering this vibrant market, WholeTrees builds incentive to continue forest stewardship. Local economies prosper from the presence of continued regional harvesting and returning shop fabrication jobs. WholeTrees works to instill a love for nature, promote conservancy, and restore a sense of awe and delight in our woodlands. Through our continued sustainability efforts we hope to catalyze healthy building material use and improve our built environment. A tree can absorb as much as 48 pounds of carbon dioxide per year and can sequester 1 ton of carbon dioxide by the time it reaches 40 years old. By choosing WholeTrees, you can directly incentivise sustainable timber stand improvements that increase the carbon storage capacity of our forests. WholeTrees structures also sequester carbon in service. The climate can benefit not only from CO2 sequestration in large commercial structures, but also from the stabilization of microclimates within highly productive forests. 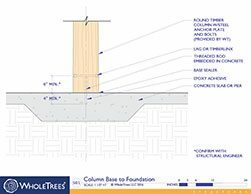 Company Overview: WholeTrees scales the use of low-value trees in commercial construction. The company has de-risked the use of unmilled timber in high value building markets; is scaling sales nationally; and will begin licensing its supply-to-market production processes and software by 2019. When trees are left unmilled, they are 50% stronger than milled timber the same diameter, as strong as steel in tension, and perform better in fire than both these alternatives. WholeTrees harnesses this enormous increase in structural capacity, opening new markets to an abundant forest byproduct. 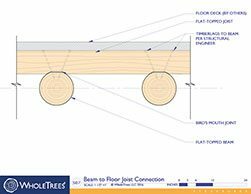 Impact Investment: WholeTrees’ supply-to-market software, its manufacturing process, and its first-to-market brand convert unwanted timber into beautiful architectural products and structural systems. At scale, this technology will allow unmilled timber products to compete with steel in price. Given its low raw material costs and high-value markets, WholeTrees is uniquely positioned to capitalize on a major market opportunity while helping timberland owners better manage their assets. New markets for low-value trees results in healthier timberlands, carbon sequestration, rural jobs, less industry waste, and awe-inspiring buildings. Business Model: WholeTrees has developed software and production processes to manufacture sustainable building materials from low value, unmilled timber, a by-product of sustainably managed forests. The company sells high margin building systems to commercial construction markets previously unavailable to timber, and plans to license and then sell its products and technologies to the forest products industry.